Has the fidget craze hit your classroom? Kids have transformed the therapy tool of fidget spinners into the next big collection craze. Kids who were bottle flipping are now performing tricks with their fidget spinners. Fidgets were originally meant as therapy tools for kids with attention and sensory issues, not as toys. 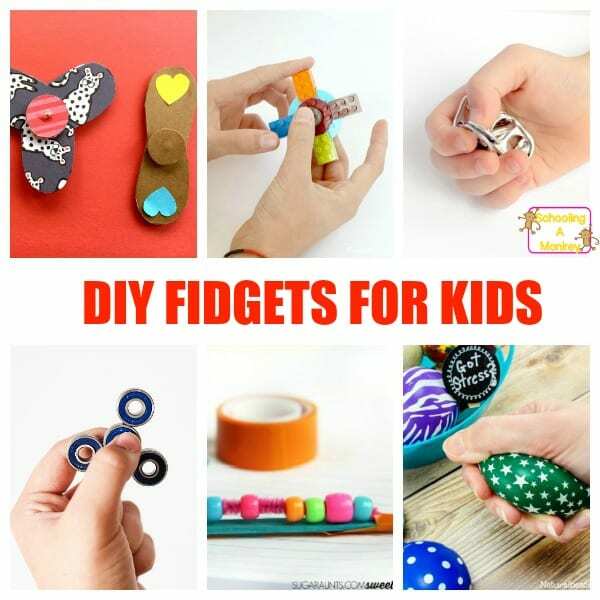 If your kids need to move, these DIY fidget spinnners and DIY fidgets for kids will help boost concentration and attitudes in the classroom. Fidgets are just one more tool you can use that helps make teaching ADHD easier. Thanks to fidget spinners suddenly exploding in popularity, now the use of fidget toys is a hotly debated topic. Some poeple claim they are a distraction and cause more trouble than good, while others claim fidgets help kids with concentration issues focus. Studies on fidgeting for kids with ADHD support the latter claim. 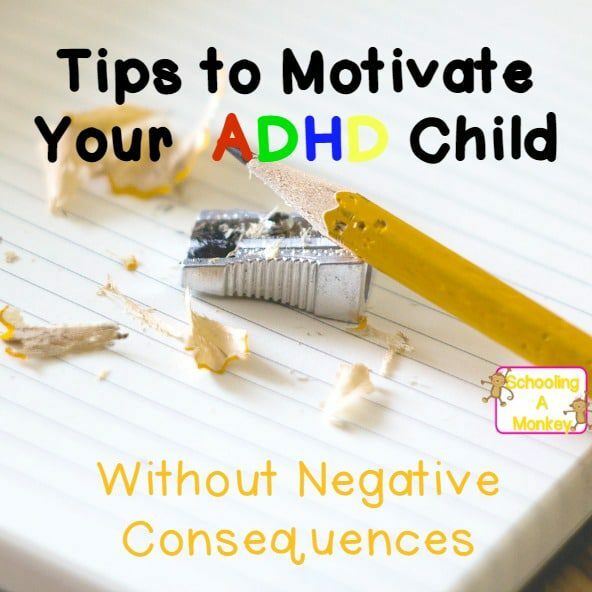 My ADHD kids NEED to move. In fact, they cannot sit still. It’s not a discipline issue for them. Before we knew my eldest had ADHD, we tried “training” her to sit still, but it was impossible. Even if she was *mostly* still, she still wiggled a foot, twitched her fingers, shifted in her seat, or looked wildly around the room. 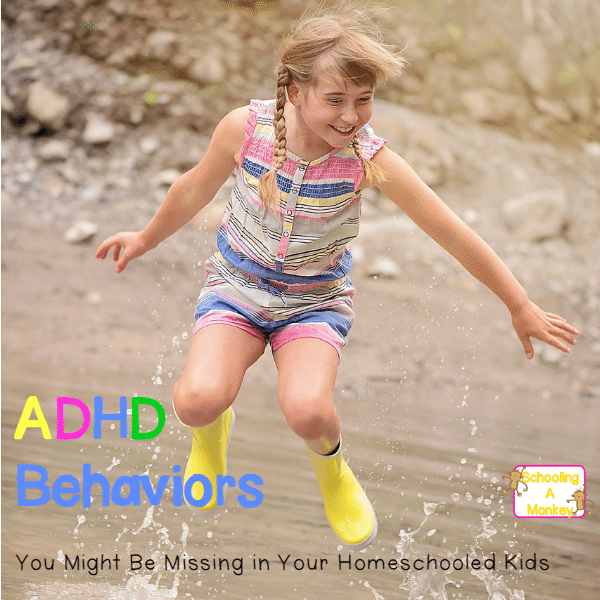 Research suggests that for kids with ADHD and other sensory processing disorders, they NEED to move for information to click in their minds. Stop them from moving, and they stop learning. 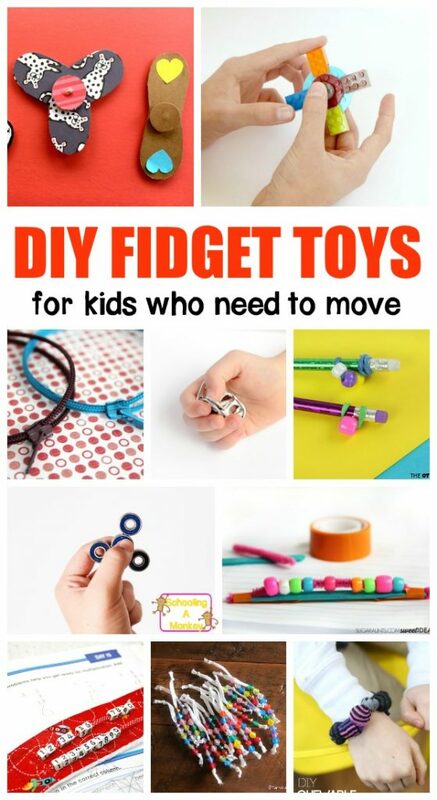 But, since our classrooms aren’t usually equipped for movement (although, thankfully, that is changing in a lot of schools), fidgets can help provide an outlet for the restless energy that kids with ADHD have. 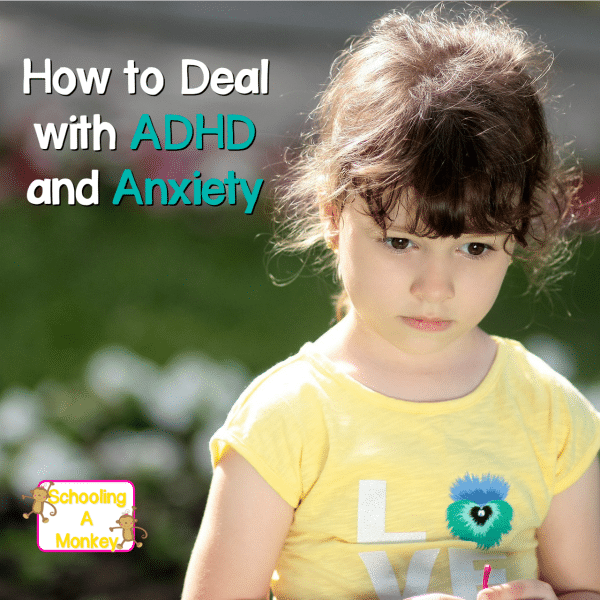 Without these tools, kids with ADHD will tend to fidget anyway, by picking at clothing, biting pencils, chewing straws, tapping on the desk, kicking their chairs, shifting position, popping in and out of their seat, rocking, twirling hair, chewing fingernails, biting their lips, and other self-destructive behavior. So, in our family, we are definitely pro fidget for kids who need them. If you want to weigh in on the debate of distractions/benefits of fidgets for kids, my friend Dayna has an excellent post on the topic: five reasons to ban fidget spinners. If you don’t want to shell out the big bucks for the original fidget spinner make these DIY versions instead! Don’t want to make your own? Get the popular version here! Not all kids benefit from spinners. 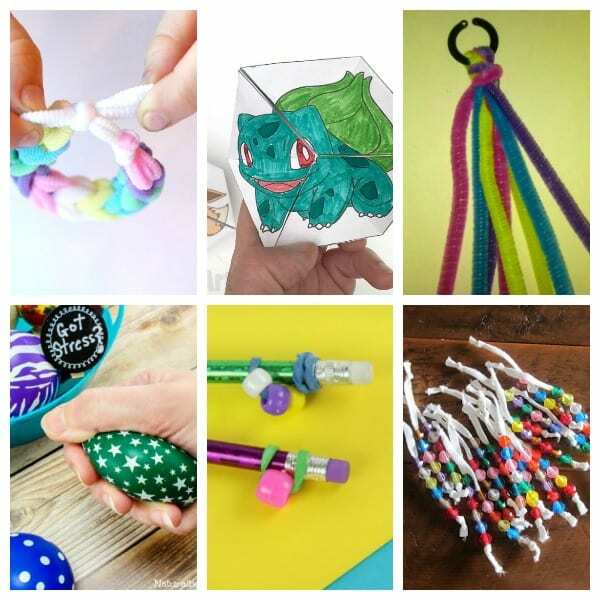 Some will find these DIY fidgets more helpful. 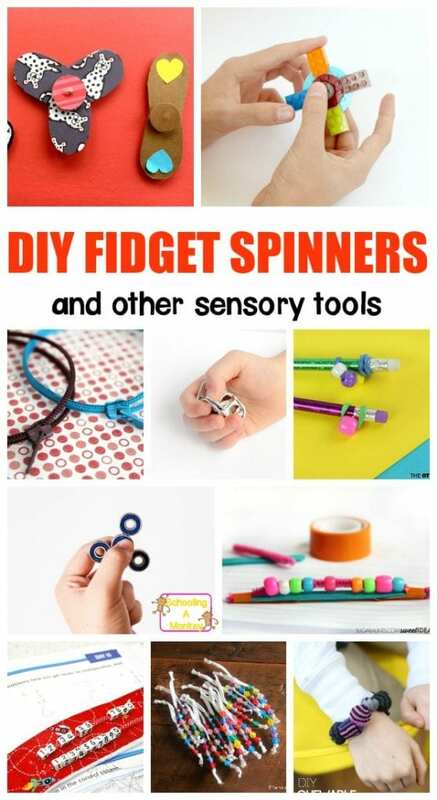 My ADHD daughter loves this fidget if you don’t want to make your own! 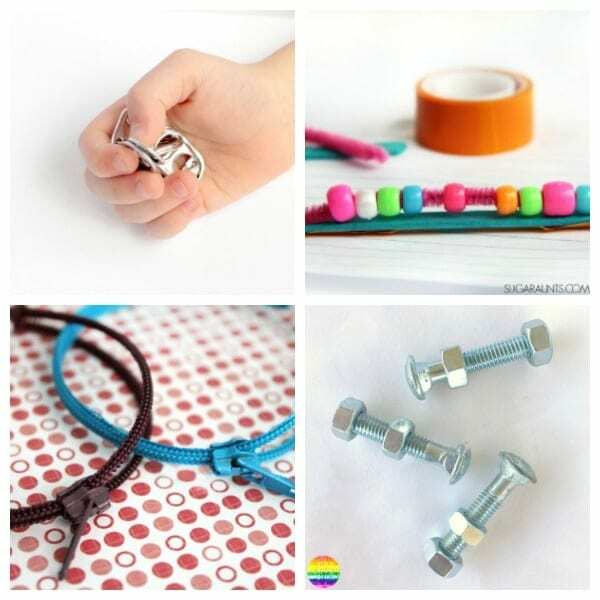 These DIY quiet fidgets are perfect for classroom use. This quiet fidget is a favorite with my kids. 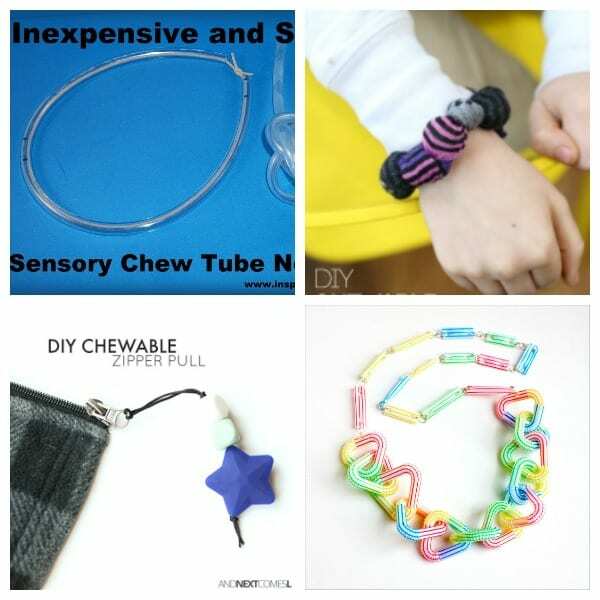 For kids who love to chew, these DIY chewable fidgets are perfect! Don’t want to make your own? We love this necklace! 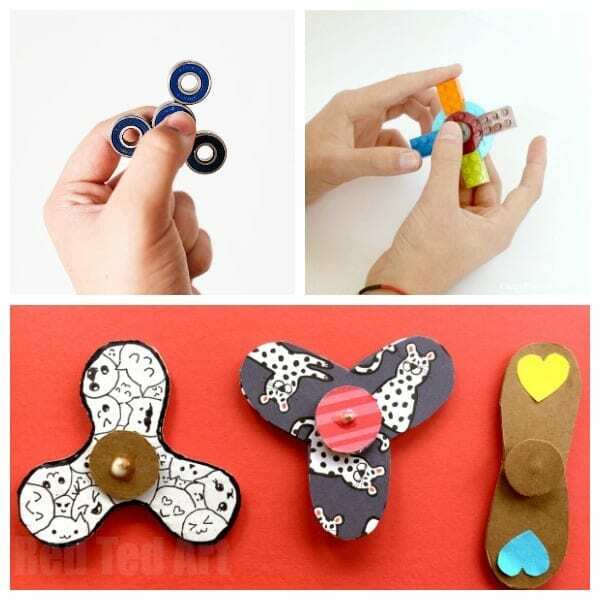 Find even more amazing DIY fidgets here!